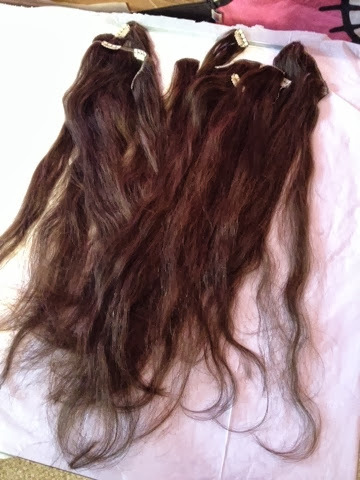 Dyeing My Hair Extensions To Match My Hair! 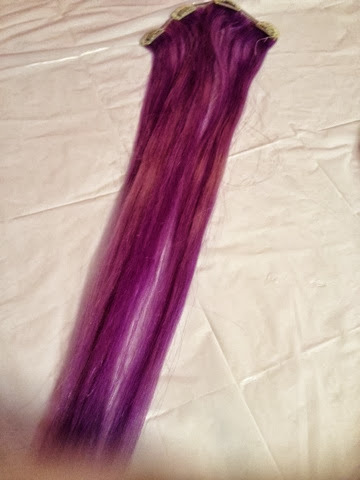 I just wanted to make a quick tutorial on how I dyed my hair extensions to match my new hair colour! Since my hair extensions were a little different colour than my hair when it was lavender I knew I should add a filler too even though I wouldn't be washing them much. 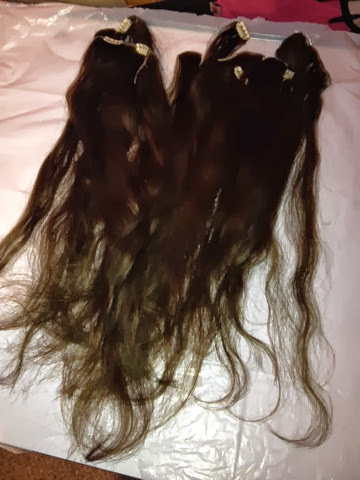 These were my extensions before, except not so dark, the lighting is a bit off here. 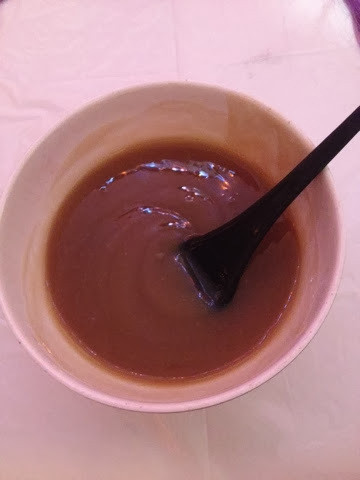 Once I used the Medium Golden Brown they turned this colour! A bit darker than I was expecting, but not bad! Then I dyed them the next day with the Light Intense Red hair colour and they turned out like this! Sadly, my hair looks more maroon in the picture than it really is. 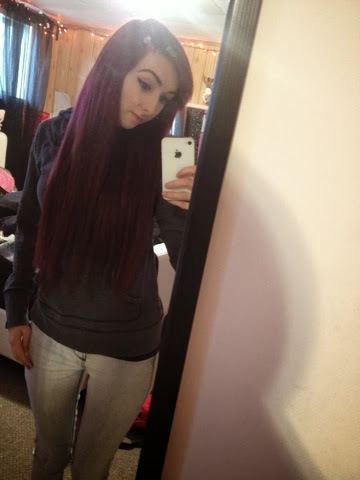 I am eventually going to go back and dye my hair and the extensions a more dark brown with red/purple highlights like I had originally wanted! It looks nice though and I love the hair colour! I definitely don't regret going red!